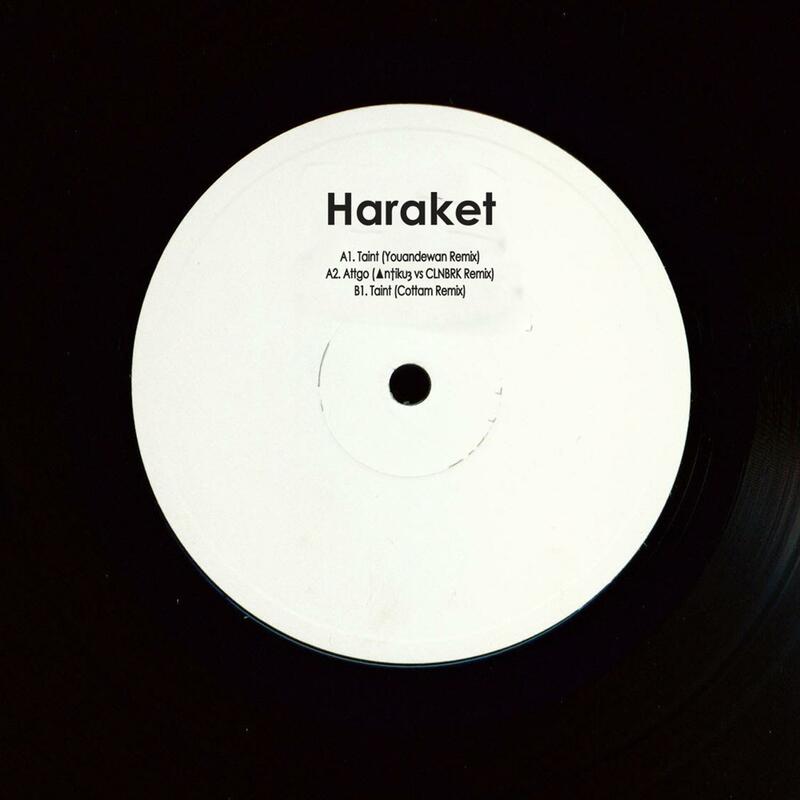 As an interlude between Haraket's forthcoming EP and their last, we've pulled in some favours for an exclusive little remix package featuring moody dancefloor renditions of 'Attgo' & 'Taint'. This is one for those twilight basement parties. Up first we've got the ntiku vs vs CLNBRK 'Chapter & Verse' Remix of 'Attgo', a cryptic slo-mo techno offering from the meplus1 head honcho (Antikue) and his mysterious counterpart CLNBRK, showcasing the darker, undertones of the original. Aus Music's Cottam delivers a suitable bumpy house edit of 'Taint', making sure the vocal's sit true and the warm acid bass bounds underneath for maximum dance-floor leverage. Youandewan, whose recent releases on Hypercolour and Secretsundaze have rocketed him into much deserved wider recognition, completes the package. His version leans on warm dusty drum samples to create the elastic groove, with repeated melodic phrases and bass accents that enchant throughout. Unlike the previous remixes, the vocals arrive heavily processed, creating an ethereal vibe.